The 10 Bodypart Target Training Series: Pack On Slabs Of Pure Muscle To Your Chest! Do you want a massive and defined chest? This target program is designed to increase muscle mass, development and balance from top to bottom, inside and out. Find out more below! The pectoral muscles are visually the hallmark of strength on the human body. 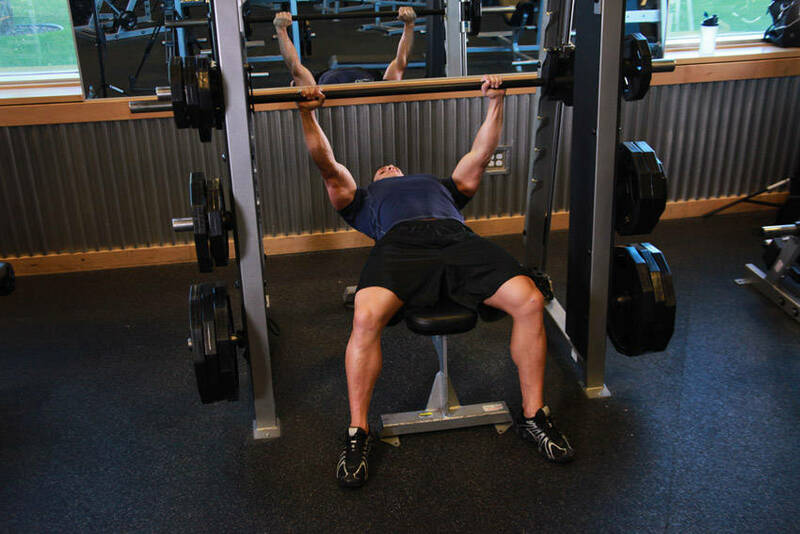 Use a Smith machine near the middle or end of a routine when proper form is an issue. For even greater chest annihilation try performing a set or two of 3-way push-ups. The chest. It is, in many ways, what defines a man. A big barrel-like chest complete with muscularity, mass and balance exudes power, control and mastery over oneself. Most of us growing up as little boys looked up to our dads - they were bigger, stronger and taller than us. We were always impressed with their abilities to lift, pull, carry and push. Did we not look up to them with awe and inspiration? Did we not want to one day be like them? The pectoral muscles are visually the hallmark of strength on the human body. They signify power and dominance in one's own personal space and beyond. Most men have at one point or another pursued a stronger and more massive chest in his lifetime whether they were the recreational lifter or competitive bodybuilder. Although many trainers spend countless hours on the bench press and pec deck machine, fewer and fewer actually build impressive muscularity in that area - instead they build monumental egos. They spend entire training sessions, sometimes lasting hours, performing set after set of every movement known to man with little or nothing to show for it. Sure, they may become a little stronger and may gain a little muscle tissue along the way, but wouldn't it be nice to work with a program that is both efficient and effective and produces respectable gains? Hopefully this article will shed a little light on the infamously elusive greater pectoral development. This is not necessarily a strength program (although you will reap strength gains), but is a pectoral development program designed to increase muscle mass, development and balance from top to bottom, inside and out. To have a strong, well-rounded chest can put the finishing touches on a physique whether it is for the beach or the stage. That's Both Efficient And Effective? The musculature of the chest is comprised of 3 2-muscle groups. Let's take a look at each and their functions. Pectoralis Major: Located on the front of the ribcage, this fan-like muscle originates on the breastbone on the center of the chest and attaches to the humerus near the shoulder joint. The Pectoralis Major's main function is to bring the humerus across the chest. Pectoralis Minor: Located underneath the Pectoralis Major, this muscle originates on the middle ribs and attaches to the caracoid process of the scapula. The Pectoralis Minor's main function is to shrug the shoulder area forward. Although the chest area is comprised of these two muscle groups, many exercises will influence different areas of the Pectoralis Major. Incline, flat and decline presses and fly movements will all affect this area in certain ways that can dictate development in one area over another. Additionally, the Pectoralis Minor, sometimes activated through stabilization purposes, can also be targeted for specific development. Now that you know a little about anatomy and function, let's delve into what makes an outstanding chest. The movements and routines presented are designed to get the most out of each trip to the gym. Remember to always use good form and not to use too much weight to compromise your safety. 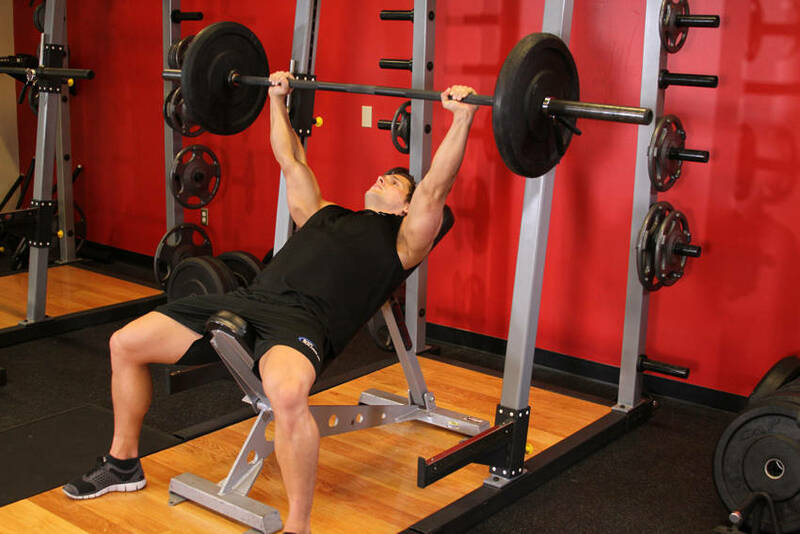 Flat, incline and decline bench barbell, dumbbell and Smith machine presses: these groups of movements normally make up the majority of trainers' programs. 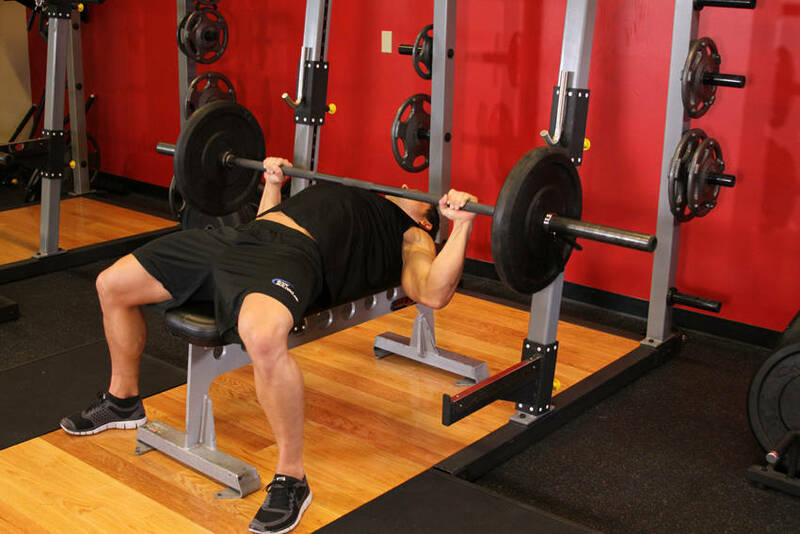 The flat bench movements emphasize the middle and lower portions of the pectoralis major, the incline working mainly the upper and to a lesser extent the middle portion and the decline angle developing the lower "pec" area. These can all be performed with a barbell, dumbbell or Smith machine - each having their own advantages. Train Insane With Kane, Episode #43: Insane Chest! Well, here we go again. More intense footage of your favorite gym junkies mixing it up with advanced techniques. This time it's chest day including machine flyes with partial reps and flat bench with drop sets. 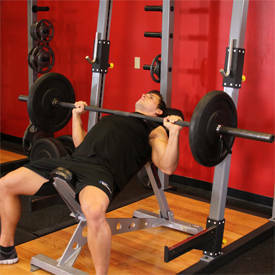 Barbells are normally utilized for maximum loads and overall mass and development. They are good to use at the beginning of a routine so that the trainer can lift heavy amounts of weight early on in their program. For barbell work, simply grasp the bar a few inches outside of your shoulder width (the best placement is a grip that positions the forearms perpendicular to the floor when the bar is lowered to the chest). Lower the bar to the upper chest for the incline version, mid to lower pec for the flat version and the lower pec line for the decline position. Without bouncing the bar, press the weight straight back up without locking the elbows. 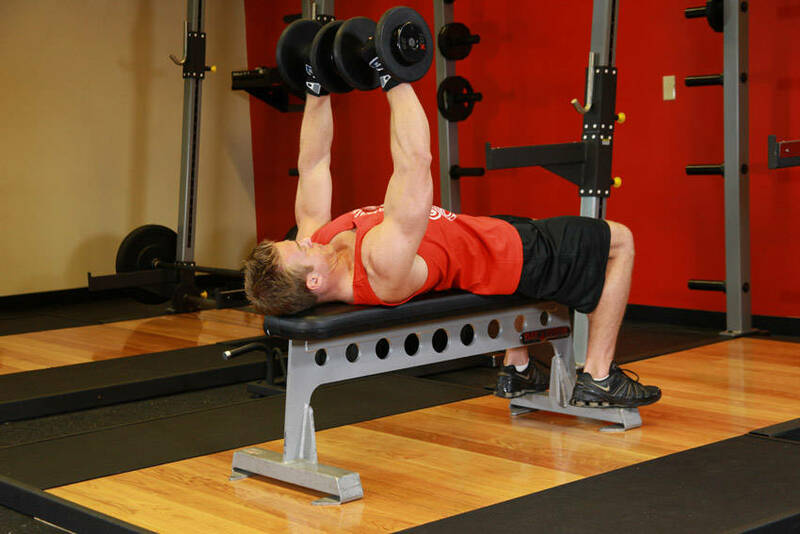 Dumbbells have the advantage of being used in a unilateral manner to which the trainer can not only even out imbalances from one side to the other, but also allows the pecs to work interdependently so that a trainer can bring the dumbbells together at the top of the movement for a strong contraction. For dumbbell work, execute the movement the same way but lower the dumbbells to the sides of your chest and then simultaneously press them back up and slightly toward the center without clanging the weights together. 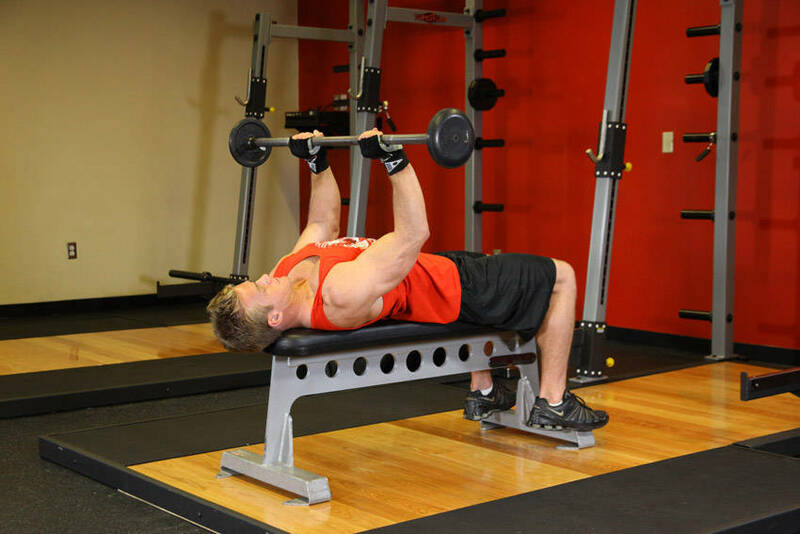 Click Here For A Video Demonstration Of Dumbbell Bench Press. Be sure not to lock the elbows to keep constant tension on the muscles. A Smith machine is best utilized near the middle or end of a routine when the joints have been fatigued and proper balance and form become an issue. 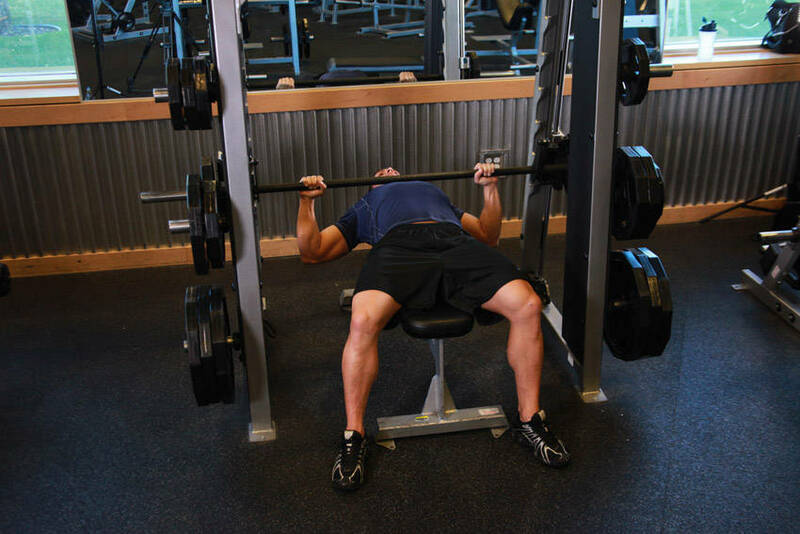 Click Here For A Video Demonstration Of Smith Machine Bench Press. These movements will carve detail and fill out key areas of the pectoralis major - such as the inside (with cables) and outside (with dumbbells) of the muscle. Simply lie on a flat (for middle pecs), incline (for upper) or decline (for lower) with the dumbbells or cable "D" handles in your hands and your palms facing each other. For the cable version you will be using the universal cable machine and the pulleys in the lowest position. 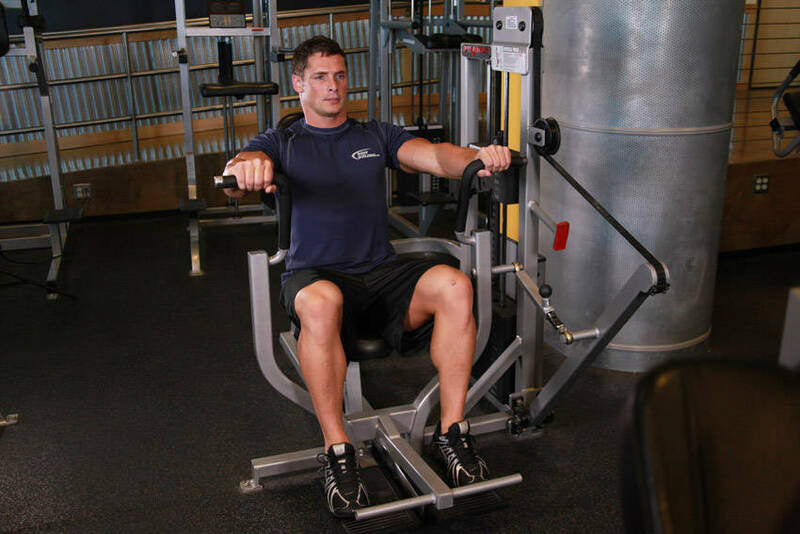 Click Here For A Video Demonstration Of Flat Bench Cable Flyes. Expand out your hands as if you were about to give someone a giant hug. Your elbows should be slightly bent to relieve tension from your joints. Lower the dumbbells or "D" rings to about chest level (or a comfortable position) and then reverse the movement in the same hugging motion. 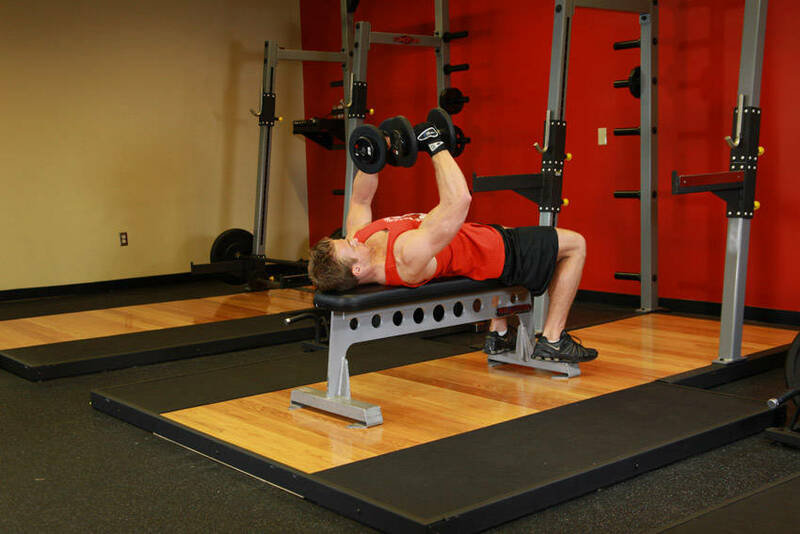 Click Here For A Video Demonstration Of Dumbbell Flyes. This is where the two pieces of equipment differ. While using dumbbells, do not touch the weight together at the top. Bring them together until they are about 6-to-8 inches apart - this will keep tension on the pecs. For the cable flyes, bring the handles together for an intense contraction and squeeze. 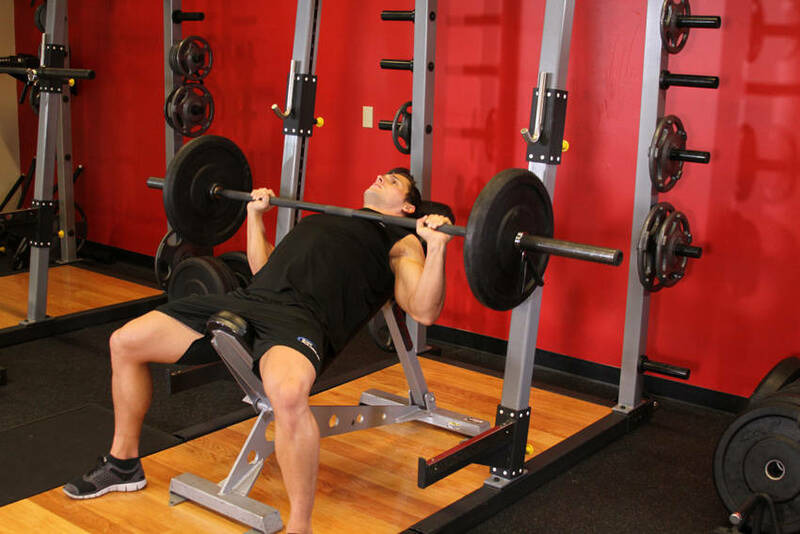 Most gyms have some version of the machine press. Just be sure to adhere to the guidelines as with presses described above - no lockout, slow on the way down and squeeze on the way up. 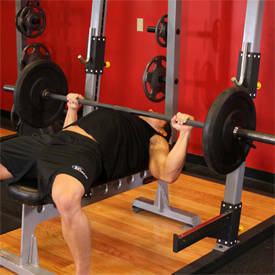 Click Here For A Video Demonstration Of Machine Bench Press. Another favorite of gym goers is the pec deck machine. These are usually found with the pads for the forearms or with the long straight-arm handles. The most important point to remember when performing these movements (which is similar to the fly motions discussed above) is to keep your shoulders back and expand the chest out at all times. This will ensure the pecs take more of the stress while protecting the shoulders. Be sure to squeeze for a second or two to increase muscle involvement and contraction. Click Here For A Video Demonstration Of Butterfly. To get that deep inner chest development and an overall complete look to the chest, nothing beats cable crossovers. These can be performed in a variety of ways dependent upon what the goal is. For the traditional high pulley cable crossover grasp two "D" handles from cables that are set above your head and stand between the two cable towers. You will start with a slight bend at the elbow to relieve pressure from the joint. Step forward a foot or two and begin with your arms wide open. Bring your arms forward and down in a huge arc as if hugging someone with your hands coming together at about belt-line level. Slowly return to the starting position by raising your arms in the same arc motion. This particular motion works mainly the lower and inner pec area. Click Here For A Video Demonstration Of Cable Crossover. Not just for boot camp anymore, this old favorite has made a comeback lately, especially amongst functional and group trainers. The push-up for most trainers seeking a better pec landscape can normally be reserved for the end of a chest routine to push just a little more blood into that area. 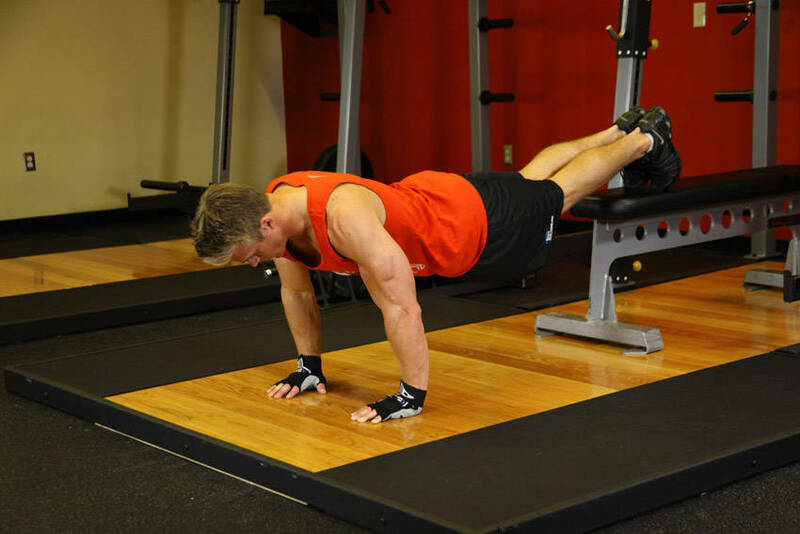 Click Here For A Video Demonstration Of Pushups. 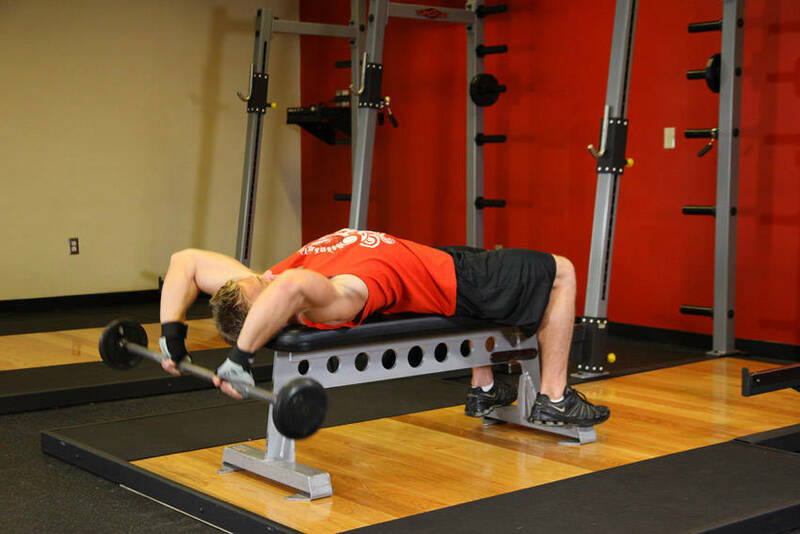 Variations include incline for lower pecs (hands on a raise bench and feet on the floor), decline for upper pecs (hands on the ground and feet on a raised bench) and floor push-ups for overall pec torture! Click Here For A Video Demonstration Of Push-Ups With Feet Elevated. For even greater chest annihilation try performing a set or two of 3-way push-ups as your last exercise. 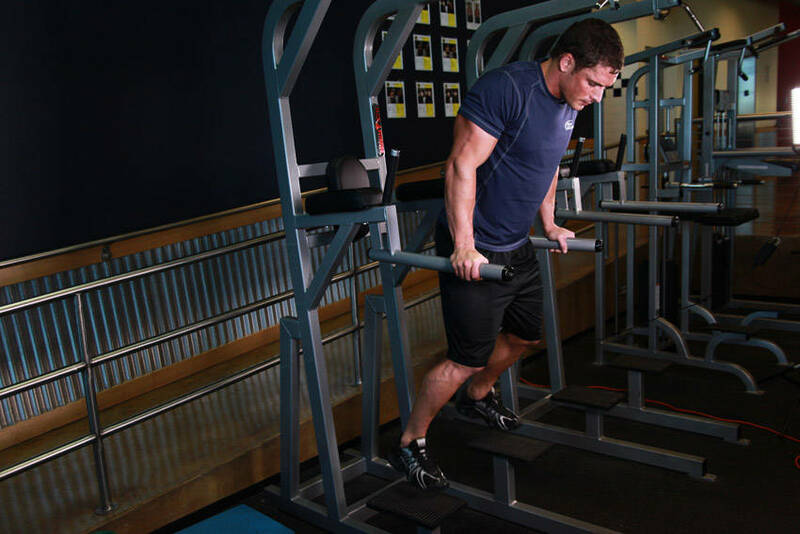 Start with decline, then move to flat and finally incline with no rest between sets - that is one set! Also used for triceps mass, the dip can easily be turned into a major chest builder. Step inside a dip apparatus and grasp the parallel bars about shoulder width apart. As you lower your body, lean forward and let your elbows flare out. You should feel a stretch in your pecs on the decent. 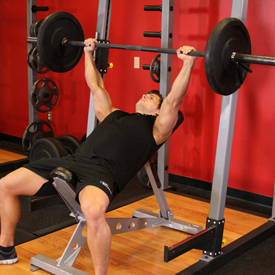 Click Here For A Video Demonstration Of Dips - Chest Version. 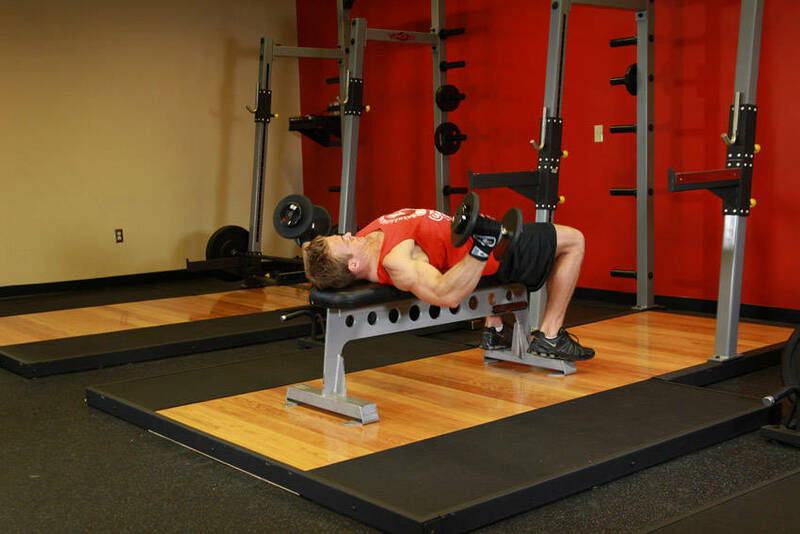 While staying leaned forward, press back up focusing on the chest contracting. Weight can be added in the form of a dumbbell placed between your ankles by a training partner or by a dipping belt to hold plates. Note: before adding weight, master the form first with just your body weight. Another great chest expander focusing on the pectoralis minor and overall depth is the pullover. 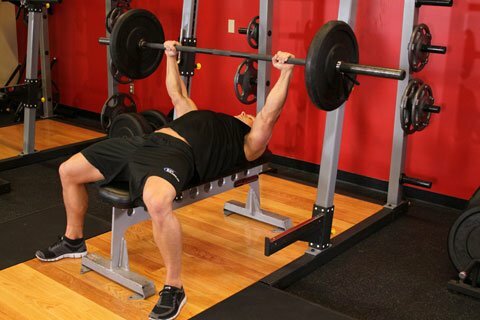 Although many trainers utilize this movement for isolating the back, it is also extremely effective for "finishing off" the entire pec region. 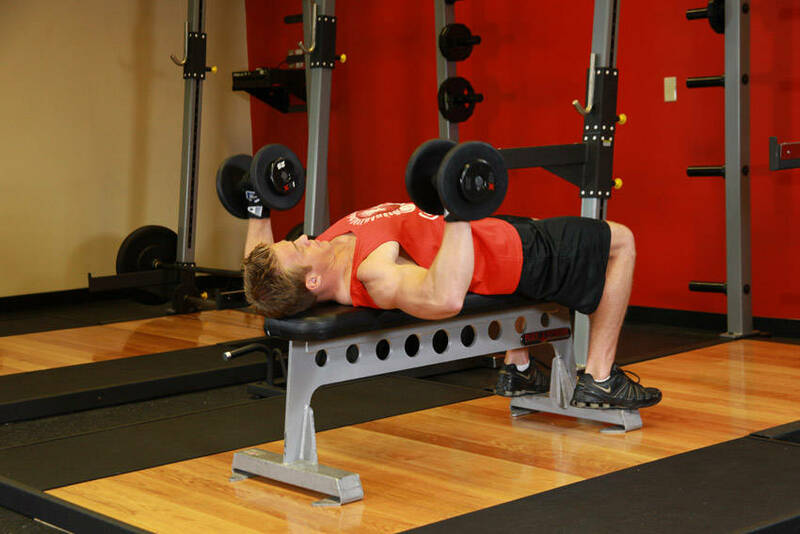 For dumbbell pullovers lay perpendicularly across a flat bench grasping the inside face of a dumbbell of moderate weight. Start with the weight directly overhead and keep a slight bend in the elbows. Lower the weight back over your head in an arc toward the floor in a very controlled manner. As you lower the weight, take in a deep breath and stretch the chest. Stretch only where you are comfortable and then reverse the motion while blowing out. Remember deep breaths will help contract the pecs. 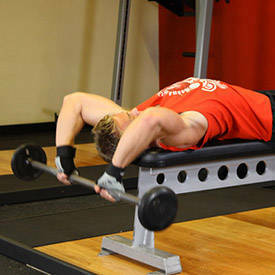 Click Here For A Video Demonstration Of Bent-Arm Dumbbell Pullover. For the barbell version lie back length-wise on a flat bench and grasp a barbell slightly wider than shoulder width with a reverse grip. With the barbell on your chest (much like the bottom portion of a reverse-grip bench press) keep a 90-degree angle at the elbows. Rotate the weight up and over your head in an arc toward the floor. Click Here For A Video Demonstration Of Bent-Arm Barbell Pullover. Feel a deep stretch and then reverse the motion to rotate the barbell back toward your torso. Remember to keep the correct angle at the elbows and breathe in deeply on the decent. Perform one of the below routines 1-2 times per week with at least 4 days rest between for maximum results. Feel free to interchange any workout that would best suit your needs. Note: Perform 2 sets of 10-15 reps on the first movement for a warm-up with light to moderate weight. What can I do to lose my small, weak chest? This seems to be the most common weak point I hear about. Here are a few routines that are sure to blast new growth into your chest. Forge A Massive Chest With This Fiber-Splitting Routine! There is more to it than just the bench. There are different angles and movements to improve and balance it. Use this simple routine to build a massive chest. How beginners can build a massive chest - Guide discusses the chest, its function and exercises. Try these 5 great chest workout programs for size.